30g packet with 160 calories, 9g of fat and 1.2g of sugar. 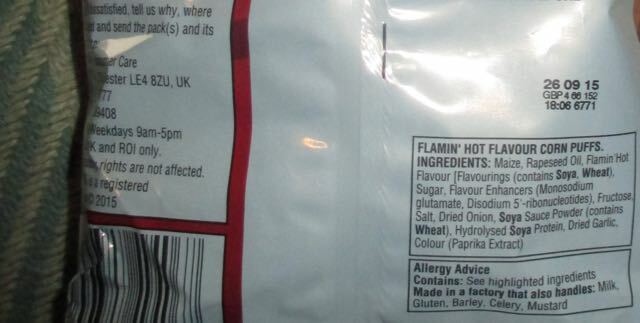 Ingredients included; maize, rapeseed oil, Flamin' Hot flavour, soya sauce powder, wheat, sugar, monosodium glutamate, disodium 5' - ribonucleotides, fructose, salt, dried onion, hydrolysed soya protein, dried garlic, and colour paprika extract. Haven't tried these, but just bought some cheese cheetos. Very excited as I hadn't had these since 1991. 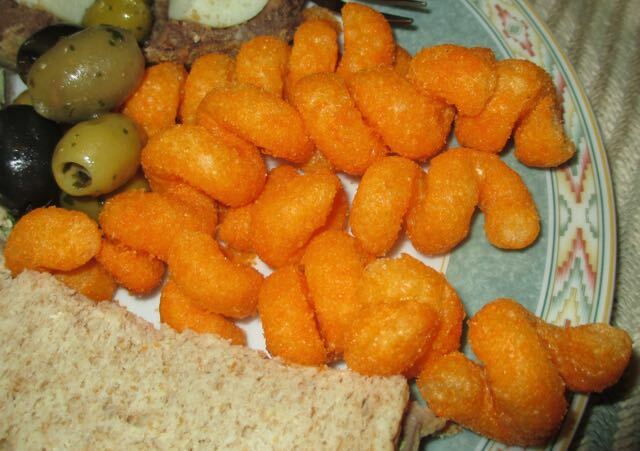 OH they were disgusting, really oily blue cheese flavour. My disappointment is matched only by my grief at the reformulation of Caramac, previously a top five sweet. Sigh. 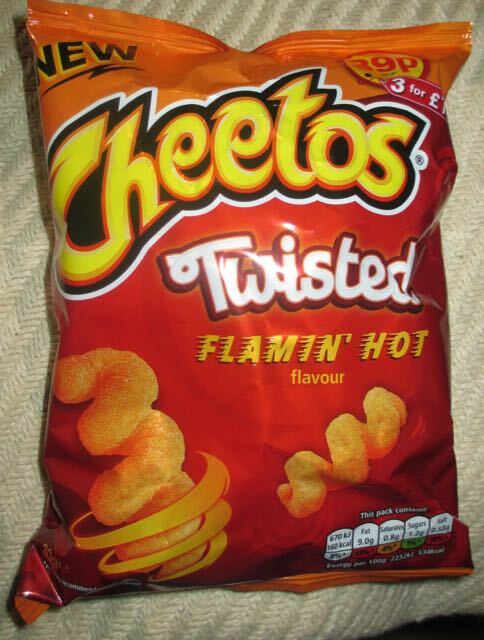 Absolutely LOVE cheetos flamin hot!!! !